At Samsung’s Unpacked event, the company confirmed what we already knew, and announced its Samsung Galaxy Note 9 phablet. It also announced a new wearable: The Samsung Galaxy Watch, the fourth device in Samsung’s line of wearable gadgets. With LTE connectivity, a slew of new health features, and three different colors, it seems Samsung is stuffing every feature it can find inside the thing. It’s a bit on the large side, however, though it does look like a fine piece of horology (as long as you plan on ditching the band). 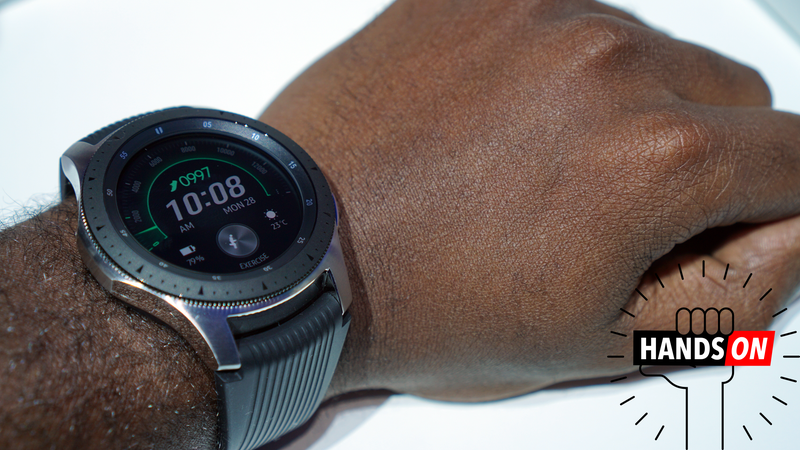 The Galaxy Watch will be available in both Bluetooth-only and LTE-enabled variants. Available in two sizes, pricing for the smaller 42mm Bluetooth version starts at $330, with the 46mm Bluetooth version retailing for $350. As for the LTE version, that’s dependent on carriers. An email from T-Mobile prices the 42mm version at $375, and the 46mm version at $400, and says it will be available “later this year.” Better start your wrist exercises now so you’ll be beefy enough to pull the watch off.